This hat is green in front and white in the back. 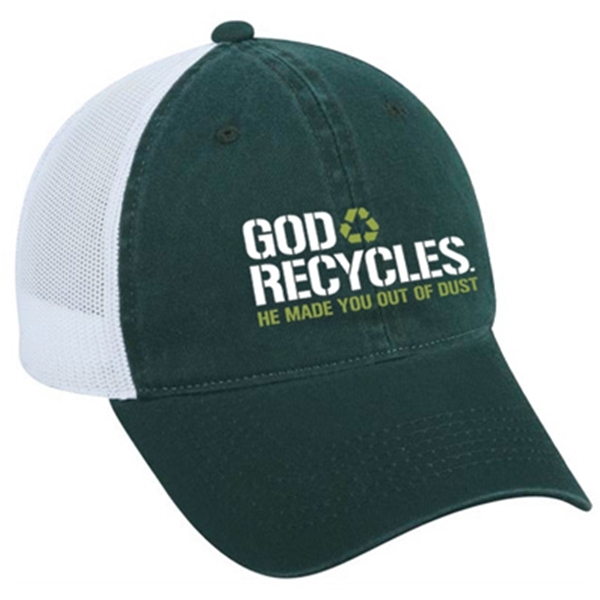 It features the recycling symbol with the phase "God recycles. He made you out of dust. One size fits all.